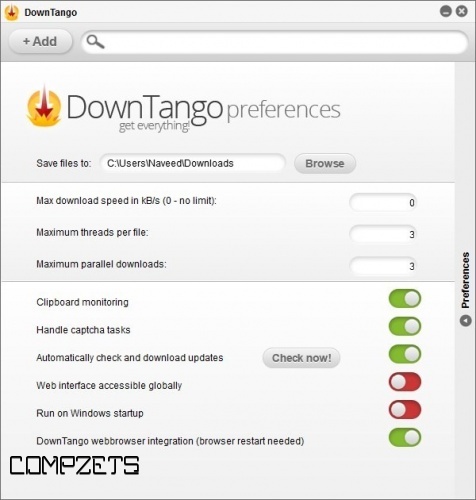 DownTango is an innovative approach to file acceleration downloads. It combines the best features every download accelerator should have and serves them in a beautiful and easy-to-use manner. Download any type of file you want. Administer your accelerated downloads from anywhere. Enjoy a simple and efficient User Interface.